The Hoh River gauge doesn't lie. Let's just say that we have finally gotten that rain that we have needed. Over the last few weeks we have seen a building pattern of warmer air and intermittent rain, that has really recharged our summer-drought-dry region and renewed the flows in the Olympic Peninsula rivers. The rain forest has lost the dusty grey mantel of summer, and regained the dripping wet beauty that signals the real change of seasons here. Suddenly everything is a deep, vibrant shade of green. 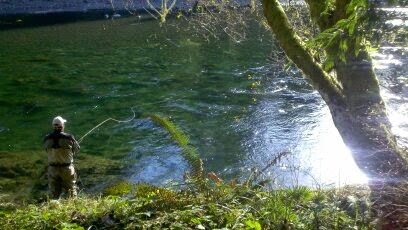 The rivers have been bouncing up and down in flows, with each front that has swept across the Olympic mountains creating a surge in the renewal of life and energy. And you can bet that the autumn fish are appreciating this opportunity to get moving too. 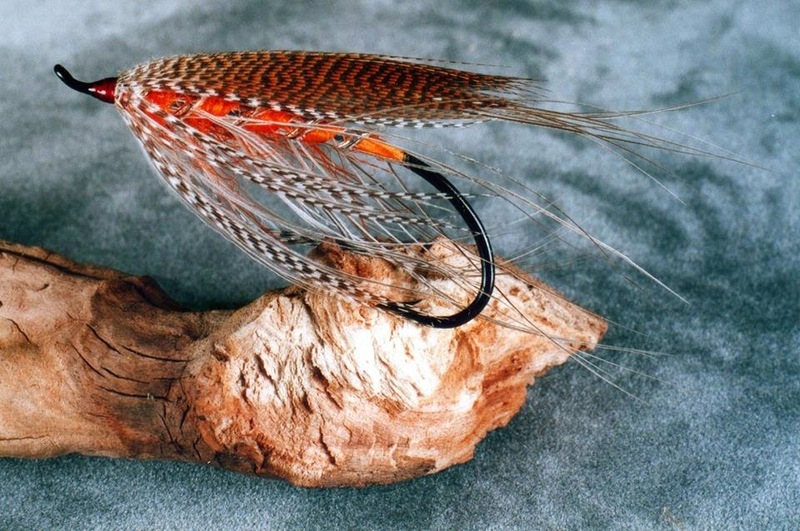 Summer steelhead and cutthroat trout will be attuned to these changes in flows, temperatures etc., and they will be feeding on the abundance of big meaty October Caddis flies that are hatching now. With this unusually warm weather, and no hard freeze in sight yet, we may expect that the hatches will persist well into November. It has happened before. On the salt- The wind has really been piping in on most days here lately. We have had gales and small craft warnings on several occasions over the last weeks. Yet most mornings here have been calm, and often the evening hours near sunset can be calm as well. Just something to remember- when you are looking at the marine weather forecasts, and it all looks bad. Sometimes you can get a few hours of fishing in the early morning, and again at the end of the day. That way you still have time to clean the gutters and rake the yard. The sea run Cutthroat and coho have been cooperative, and we do expect to continue the beach fishing too through this mild autumn. Beach fishing is a wonderful alternative to the rivers, when most of them get too high after the rains. And even if your favorite beach is exposed to the wind and waves, you can usually find another beach that does not have the same exposure, and get some good fishing in anyway. It pays to have a map of the region and be willing to do some exploring. Check out Dr Cliff Mass weather blog for an update on the big wind and rain storm we are in right now. The west-end Olympic Peninsula rivers, as well as most of western Washington's other rivers, are bank full and running hard and dirty now, with more rain on the way. 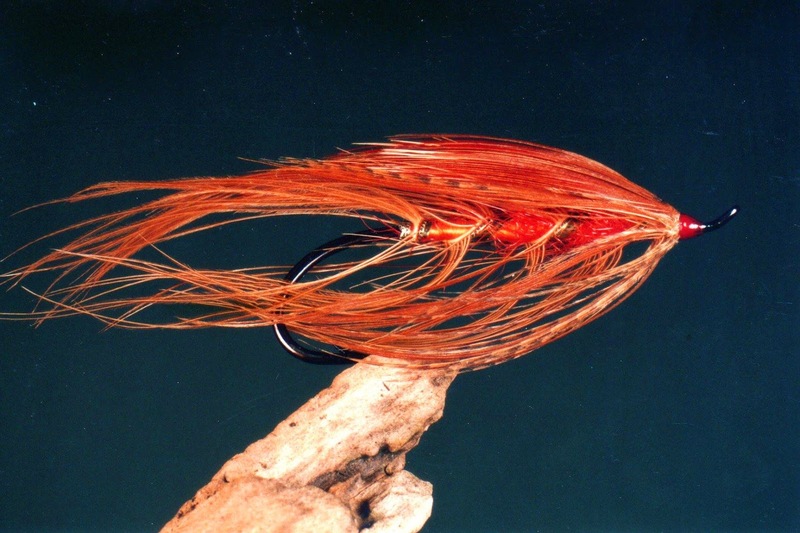 Looks like the saltwater may be one of the better options, if you can get out of the wind. I can't wait for these rivers to drop back into shape. on the jade green waters of the Olympic Peninsula rain forest. 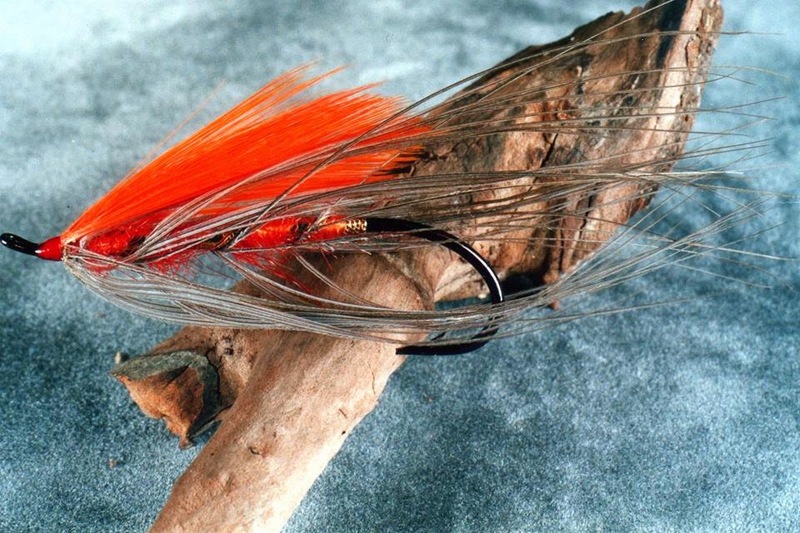 Speaking of steelhead flies. 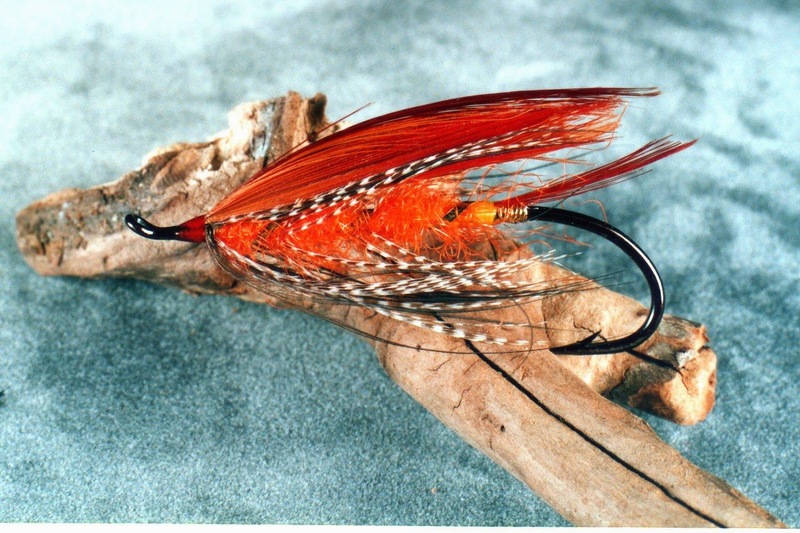 I don't think that you can find a better example of traditional Olympic Peninsula steelhead flies than the flies tied by the legendary Syd Glasso of Forks, Wa. I have friends here who had Mr Glasso for their elementary school teacher. 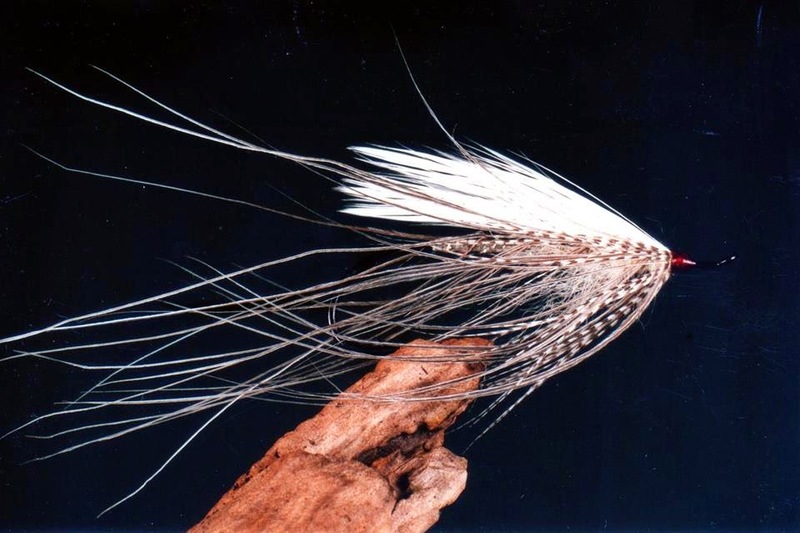 And when they were doing well in class he would reward the students with one of his own hand tied flies.These flies are priceless today. 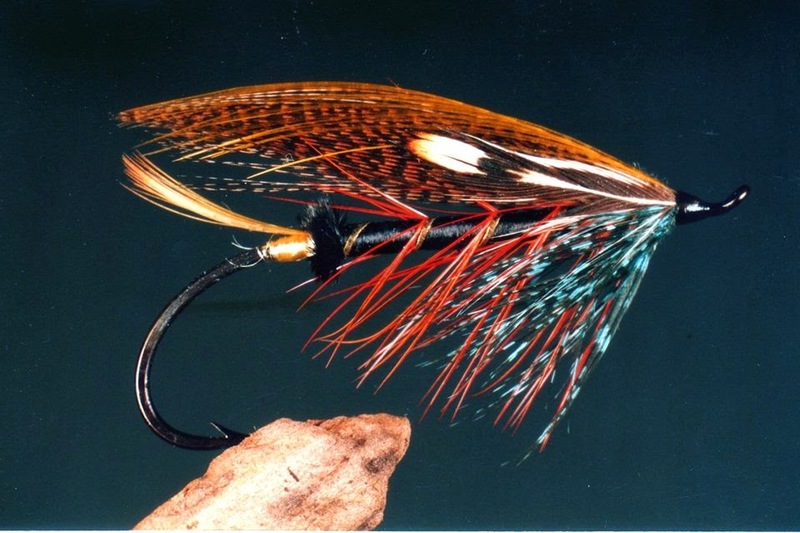 I have had the good fortune to see quite a few of these classic flies, they are elegant in their symmetry, simplicity and colors. In use they come to life, glowing in the emerald waters with each swing. 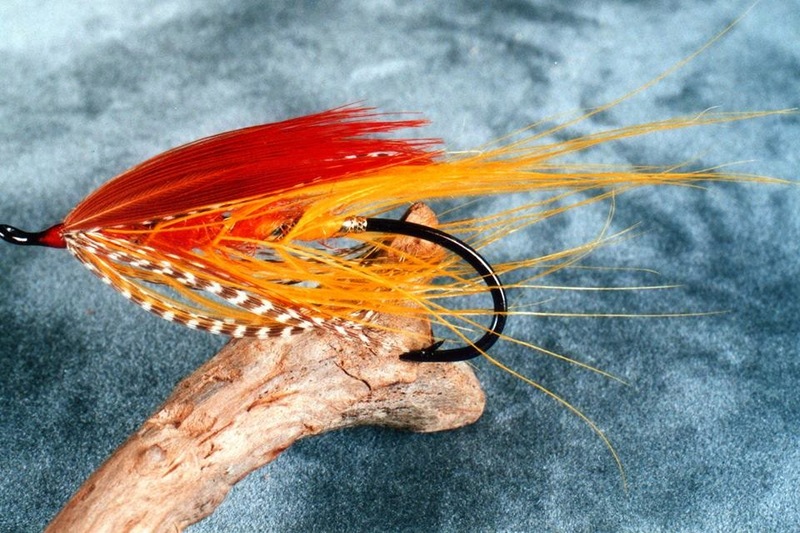 British Columbia author, artisan fly tier and angler Art Lingren recently shared some pictures of some of these classic steelhead flies, tied by Mr Glasso in the 1980's. Posted here with permission. 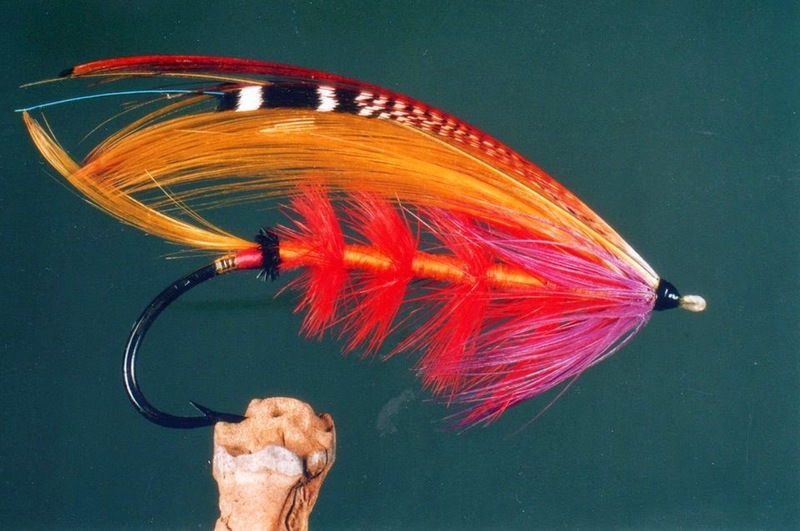 These are the flies I want to learn how to tie. I guess I have my work cut out for me.